Item # 310588 Stash Points: 2,699 (?) This is the number of points you get in The Zumiez Stash for purchasing this item. Stash points are redeemable for exclusive rewards only available to Zumiez Stash members. To redeem your points check out the rewards catalog on thestash.zumiez.com. 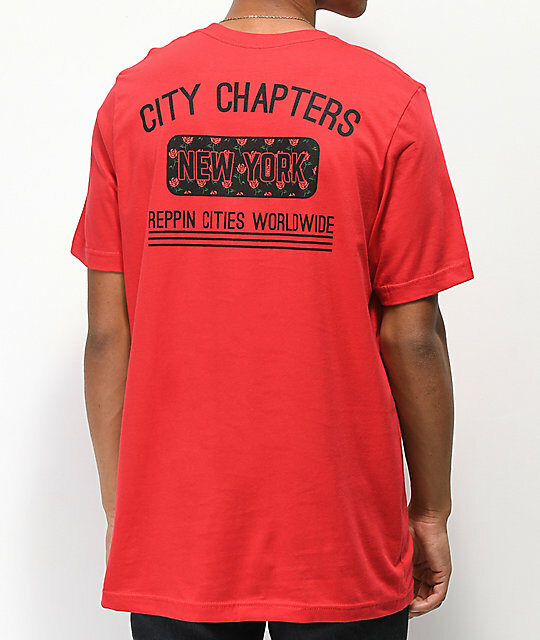 Rep your region in style with the City Chapters New York Rose Red T-Shirt. 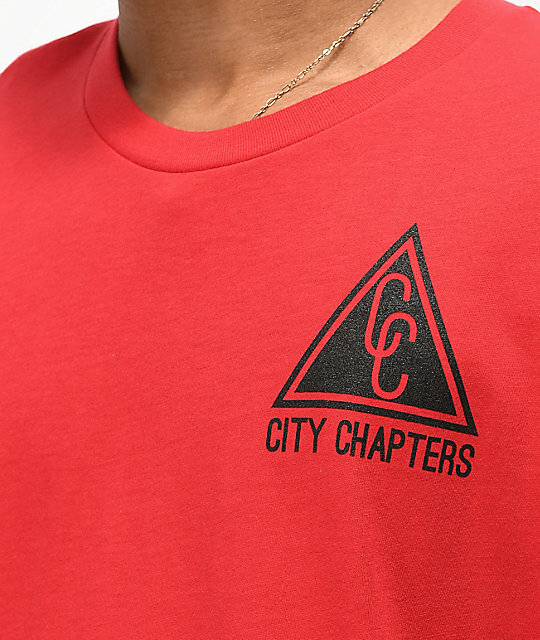 This all red tee features a classic City Chapters logo on the left chest as well as an accompanying larger branded graphic logo on back with rose print and in contrasting black. 100% cotton and tagless for comfort, show your love for where your from in the clean look of the City Chapters New York Rose Red T-Shirt. 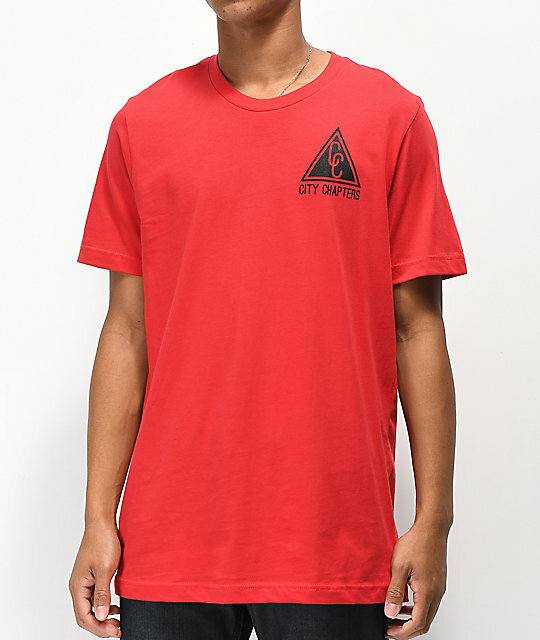 New York Rose Red T-Shirt by City Chapters.